Leather Honey sent us a couple bottles for review. 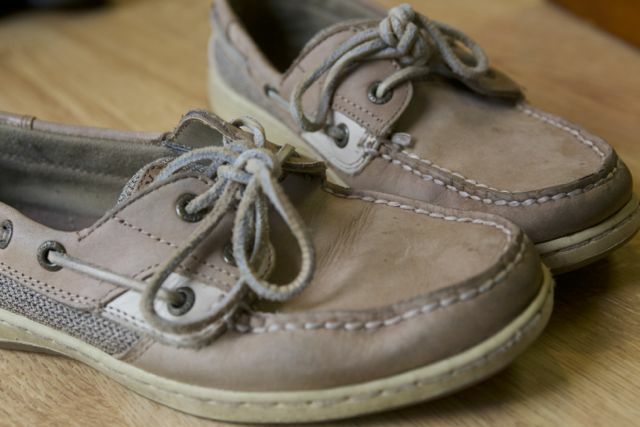 For this review I used a pair of old leather engineer boots from Union Made and a VERY dried out pair of Sperry Boat Shoes. Since I keep my personal leather well conditioned I have begged and borrowed dried out leather goods to test on. Leather Honey got it’s start in the 60’s when a chemist, Daniel McGowen, recruited his post man to wear a new pair of leather soled shoes each month. He would treat one sole with his experimental formulas and leave the other untreated. Eventually he perfected the blend so that the treated sole would last twice as long thanks to the water repellant and moisturizing effect of his formula. 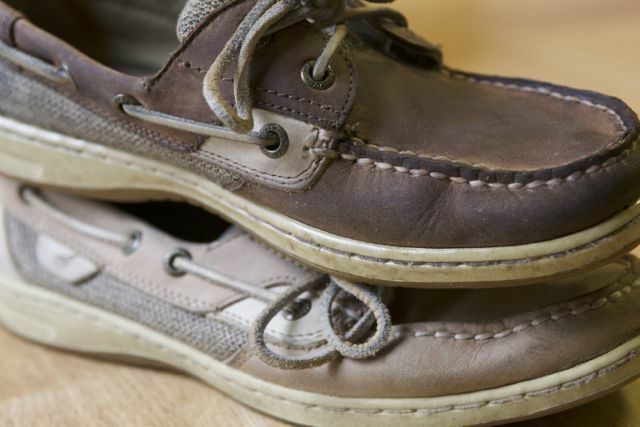 The first use of his formula was called “Sole Dip” and was sold to shoe manufacturers but the advent of rubber and plastic soles quickly destroyed demand for Sole Dip and the company went under. Although the formula was effective for moisturizing other leather it was not sold for that purpose. Fast forward to 1972, Daniel’s son, Jim, relaunched the brand selling it as a harness conditioner, Harness Honey. It enjoyed widespread use for leather conditioning, not just on harnesses. Now the same formula is being relaunched as of 2010 and being distributed via Amazon as a general leather conditioner. It’s clear, water-based, non-toxic (it doesn’t taste good, I checked), has an oily feel, and doesn’t smell strong. But like all the other leather conditioning companies, Leather Honey does not reveal their ingredient list. It’s thick and applies in a glob if you pour it directly on the leather. The better way to apply is with a rag or an applicator pad that Lexol sells. Depending on how dry your leather is you may need to apply multiple coats, letting each soak in and dry before you apply the next. Pour the Leather Honey on your rag and smear it around. 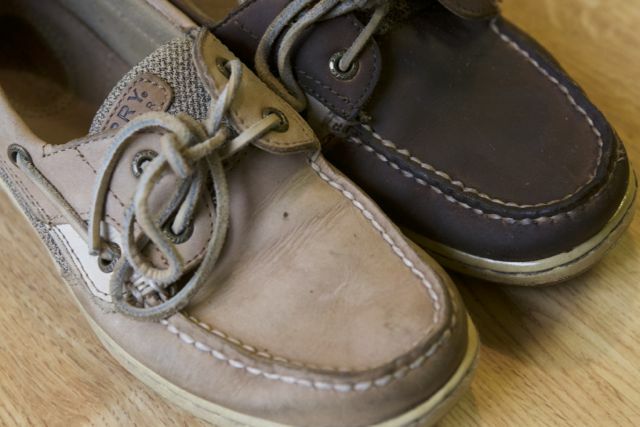 You don’t need any extra buildup so wipe off whatever may left over on the leather. Otherwise, you will get residue. Here you can see my first coat and how much the leather was darkened. Keep in mind that these shoes are extremely dry and brittle so much of their lightness and then darkness is from the dryness. However, the Leather Honey did darken the leather past their original shade. It was a pleasing dark brown shade so I didn’t care. This is the color change immediately after three coats. For experimentation’s sake I warmed up the other shoe in the oven at 200 degrees for a few minutes and the leather honey took much more readily to the leather. It absorbed much more quickly and with less oily residue. While the Leather Honey bottle claims no oily residue I have an oily residue on my hands as I type this. I suspect they are referring to oily residue on the leather after the conditioner has dried. 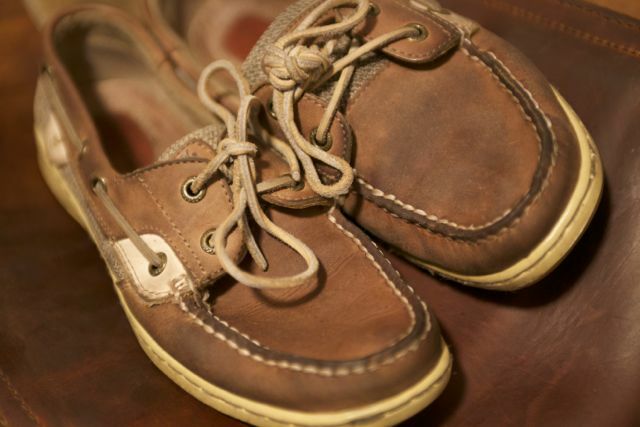 Here you can see the Sperry’s a few hours after being conditioned. They have lost much of the initial dark brown color but still retain excellent suppleness that was not originally present in the dried state. Lets try it on some Union Made Engineer boots. Here they are mildly dry, but not terrible. This is immediately after the first coat. Here you can see the fresh viscous appearance on the right and the matte dried finish on the left. Fin! Several hours dried. 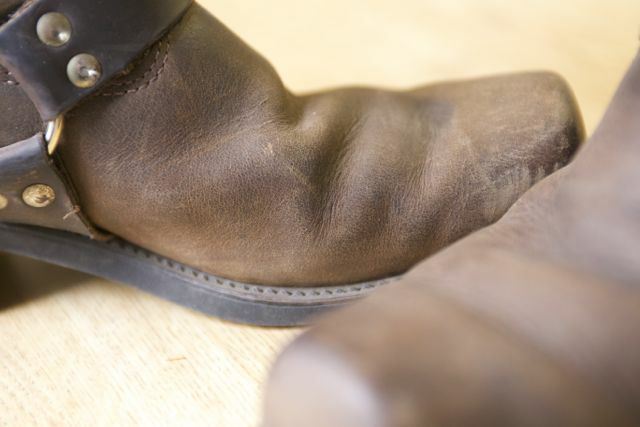 There was still a noticeable moisture like residue on the boots. – There is a slight residue left behind. 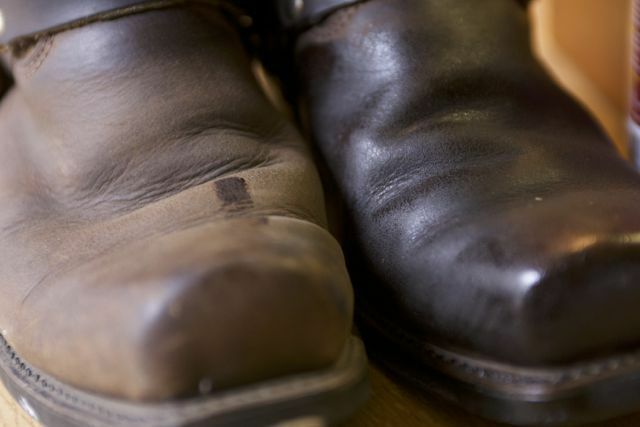 This is not so much of an issue on briefcases or shoes but definitely an issue on leather furniture you are constantly touching it. 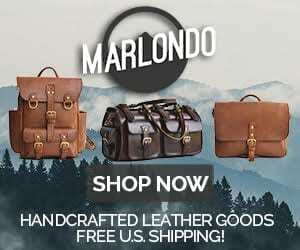 – The consistency of Leather Honey can make it difficult to apply evenly. This is important since differing concentrations of Leather Honey darken leather to differing degrees. We do not recommend using Leather Honey on leather furniture. 15 Comments on "Leather Honey Conditioner Review – $20"